You don’t know how to cure pimples or to remove enlarged pores on your face? Come to LIPSCLINIC! We guarantee the result! These aren’t mere words or promotional promises. We really provide a warranty for problem skin treatment at our clinic. Warranty from LIPSCLINIC: if you don’t observe perceptible improvements after undergoing a course of treatment, you’ll get an additional course for free! What problems can you consult us about? early wrinkles and a tired face. How do we treat problem skin? How do I improve my complexion? How do I remove the pores? How do I cure the pimples? How do I cure the comedones? After examining you, the doctor will give an answer how to get rid of your problem. If necessary, he can recommend consulting a gastroenterologist or a dermatologist. Ozonotherapy involves injections of ozone. Why will ozone help? Penetrating inside an unhealthy cell, ozone kills bacteria, viruses and fungi. Saturating cells with oxygen, it launches an intensive process of cell renewal, which results in clearing the skin; it stimulates collagen production: the skin is lifted and grows young again; it enhances lymph and blood circulation: the skin looks fresh and healthy. 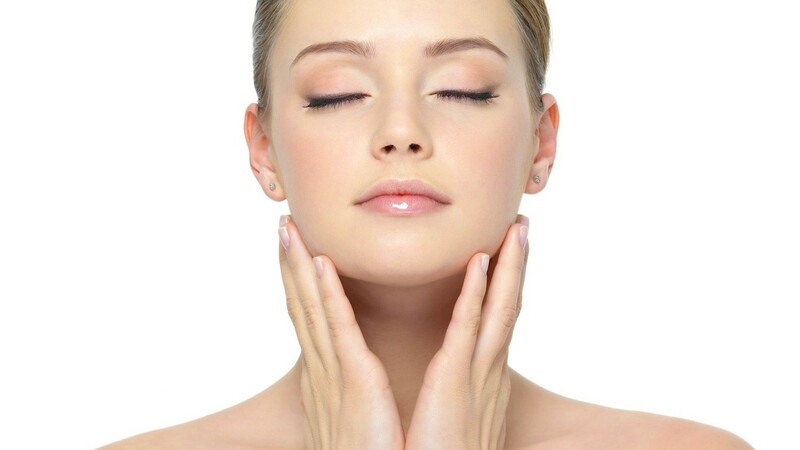 The purpose of plasmolifting is to launch the process of skin cell renewal through the use of your own blood. The cosmetologist will take blood from your vein right during the session, separate thrombocytes and plasma from it, and then inject it under your skin. This method suits practically everybody. It is safe, doesn’t provoke rejection or cause allergic reactions. Dull complexion, dryness, flakiness, or irritation of the facial skin are very often associated with lack of vitamins. Mesotherapy helps provide the skin cells with vitamins and nutrients. After a few mesotherapy sessions the skin becomes glowing and clear, its dryness and irritation go away, small wrinkles smoothen out. At our clinic, we offer the patients injection and injection-free mesotherapy. The total care program includes cleansing, peeling, massaging, and applying a mask — all in one procedure. We use professional cosmetics made by Danne, Dermaheal, Cosmedix, and Renophase. These cosmetic lines are used in dozens of countries in the world. Treatment of problem skin with the use of these beauty products always gives excellent results. If you have problem skin, you certainly need constant facial cleansing done by a cosmetologist. It removes the black dots on your nose, improves the skin condition if you have combined and oily skin, reduces the enlarged pores on your face, helps cure pimples and comedones quickly. At our clinic we do ultrasound facial cleansing and atraumatic facial cleansing. Treatment of problem skin is impossible without the use of peelings. A peeling removes the layer of dead cells from your face, which creates a favorable environment for development of comedones and pimples. After the peeling, the skin is renewed, becomes more elastic, clean and fresh. We do all types of peelings: instrumental (gas-liquid and ultrasound), acidic and enzyme peelings (including retinoic, glycolic, TSA, Jessner, and other types). When the treatment plan has been made, you attend the prescribed procedures. The number of sessions and the duration of treatment is determined by the doctor. The course may consist of, for example, 10-15 sessions of ozonotherapy, 7-10 sessions of peeling, or 5-10 procedures of mesotherapy. The duration of treatment depends on how advanced and complicated the problem is. After the course has been performed, the doctor assesses the results and determines what to do next. If the problem has been solved, the treatment is stopped, and the doctor tells you in detail what prophylactic measures you need in order not to allow such a situation to happen in the future. If the problem hasn’t been solved completely — the method is changed, and the treatment continues. If you have never yet consulted a professional cosmetologist, it’s difficult for you now to make sense of the variety of procedures. This is why we are inviting you for a free consultation. Don’t delay solving the problem, and don’t practice self-treatment! Come to the clinic and ask all your questions to the cosmetologist! The consultation is free, and it doesn’t bind you to anything! To schedule a consultation, call 8 800 700-72-87 or leave a request here.